Hatziioannou’s research is guided by the premise that understanding the mechanisms by which lentiviruses avoid and/or counteract inhibitors in their natural host is fundamental to determining the primate lentivirus host range. To successfully colonize a species, lentiviruses have to adapt to optimally use key host factors critical for virus replication. Equally importantly, viruses have to overcome host proteins, known as restriction factors, that inhibit virus replication in a species-specific manner. Hatziioannou has shown that although such restriction factors are generally beneficial, as they protect humans from viruses infecting other primates, they may also account for our inability to generate optimal animal models for research on HIV and AIDS. Understanding how host protein variation drives lentivirus adaptation provides important insights into the evolutionary history of lentiviruses and, moreover, suggests paths toward the development of novel animal models for HIV-1 to facilitate the evaluation of clinical therapies, prevention strategies, and other interventions. 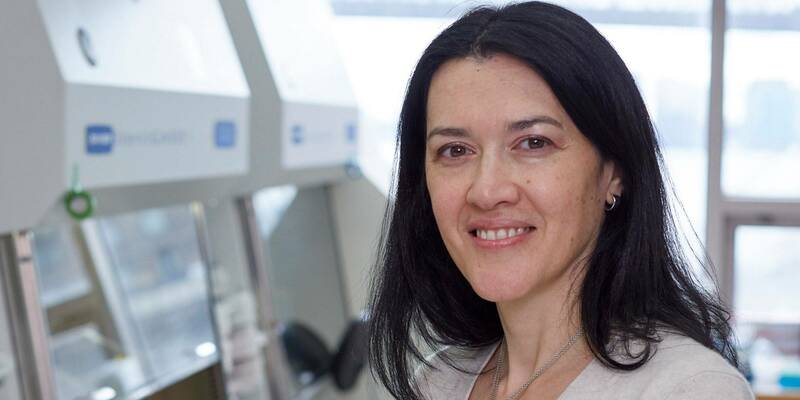 This understanding of the interactions between primate lentiviruses and their hosts has allowed Hatziioannou and her colleagues to manipulate HIV-1, becoming the first to develop an HIV-1-based virus that is able to cause AIDS-like disease in a non-hominid. In parallel, these collaborative studies continually reveal novel aspects of the molecular biology of interactions between primate lentiviruses and their hosts. This is exemplified by the recent determination of the crystal structure of one such restriction factor, APOBEC3H.